History The dargah was built in 1431 by a wealthy Muslim merchant and saint named Haji Ali who renounced all his wordly possessions before making a pilgrimage to Makkah. Legend has it that Haji Ali died on his way to Makkah and his body, in its casket, floated back to Mumbai. However, some believe that Haji Ali drowned at the place where the dargah stands today. The structure has white domes and minarets reminiscent with the Mughal architecture of the period. 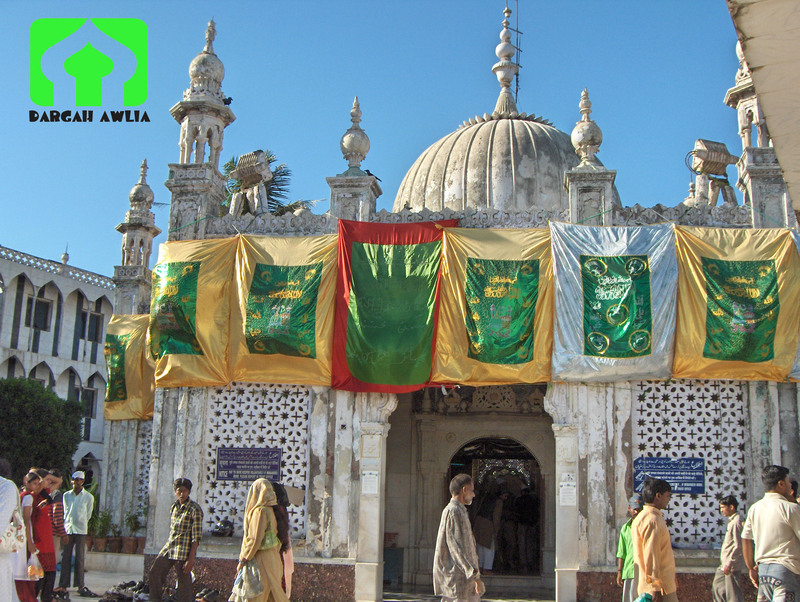 The Dargah is a renowned pilgrimage site among the Muslims. Non-Muslims are also allowed to visit the Dargah. The white-coloured structure attracts visitors in large numbers. 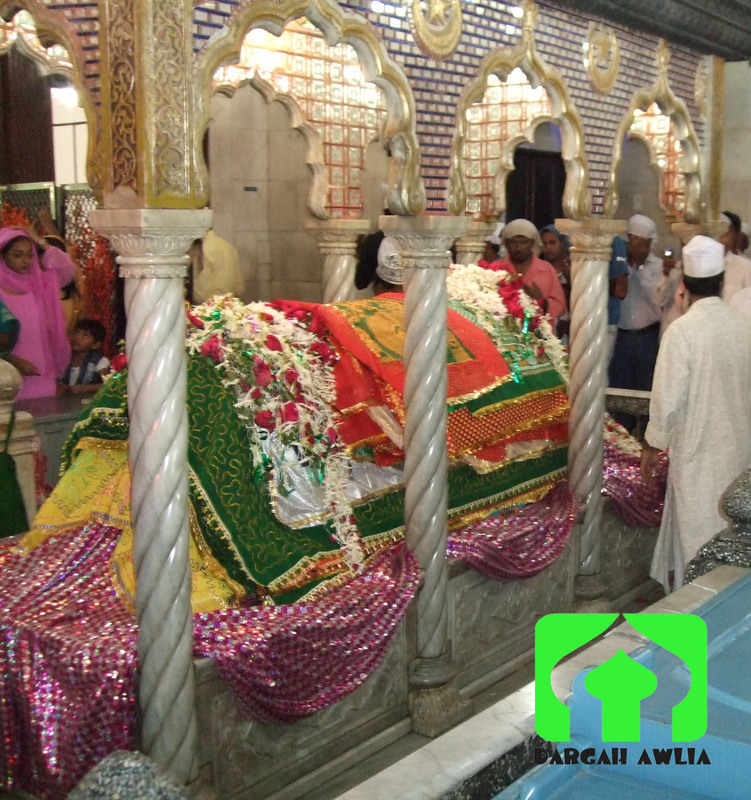 About 10 – 15 thousand people visit the Dargah daily. The number of visitors increases to 20 – 30 thousand, on Thursdays, Fridays and Sundays. Lakhs of devotees visit the Dargah on the second day of Ramadhan Eid and Bakri Eid (Eid-ul-Uzha), and during which the pathway leading to the Dargah Complex looks like a Sea of Humanity. The URS (Death Anniversary) of Pir Haji Ali Shah Bukhari (R.A.) is on the 16th of (Rabi-ul-Aakhir / Rabi-al-Thaany) (17th Shab). Niyaaz (Food / Sweets) are distributed to all devotees, visitors and fakirs. A special program of Milad and prayers is held on the 16th of every Islamic Month after Namaaz-e-Isha (17th Shab) in remembrance of the URS of Pir Haji Ali Shah Bukhari (R.A.). In celebration of Eid-E-Milad-un-Nabi – 12th Rabi-al Awal (Birth Anniversary of Prophet Mohamed (S.A.W.S. ), the Trust organizes a function for viewing the sacred relics of Prophet Mohamed (S.A.W.S.) post Namaaz-e-Zuhr. Prayers are recited (Fateha) at sunset (Maghrib) and Niyaaz is distributed.